Good news for all of you Android fans! We all know that everyday we’re stuck on our mobile phones looking to access information, maybe to email or just web browsing. Well, Google has just released the Google Docs app for Android, that will help you do all of these things, and to easily access, edit and share content. Google Docs app for Android will help you filter and search for your content across any Google account, and then you can jump straight into editing docs using the online mobile editors. The Google Docs app also allows you to easily share items with your friends, right from within the app. – View your documents, PDFs, images and more. The search and collections functions allows you to find particular documents, and the home screen widget offers you quick access to starred documents, initiating a photo upload, or starting a new document. The most important feature of this app is the integration of OCR (Optical Character Recognition), because you can now take a picture with your phone’s camera, and have it translated to a Google document using optical character recognition. Create a new ‘Document from Photo’ or you can select the camera icon from the widget, and next your converted document will appear in your documents list. You can also convert photos already stored on your phone by sharing them with the Google Docs app. 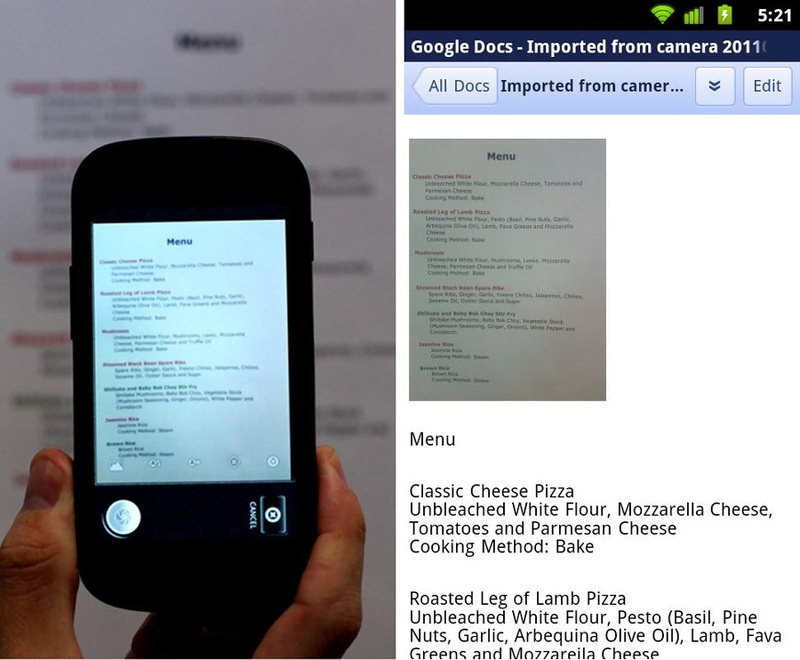 The Google Docs app works for smartphones with Android 2.1 and above. It is available for download at the Android Market, or you can scan the QR code below.